Eligibility: Dave Smith Motors’ EAT. SLEEP. JEEP. Giveaway (the “Giveaway”) is open only to individuals who are legal residents of the fifty (50) United States (including the District of Columbia) and are 18 years of age or older. Employees of Dave Smith Motors, their advertising or promotion agencies, those involved in the production, development, implementation or handling of Giveaways, any agents acting for, or on behalf of the above entities, their respective parent companies, officers, directors, subsidiaries, affiliates, licensees, service providers, prize suppliers any other person or entity associated with the Giveaways (collectively “Giveaway Entities”) and/or the immediate family (spouse, parents, siblings and children) and household members (whether related or not) of each such employee, are not eligible. New car franchisee employees, are not eligible. Void where prohibited by law. 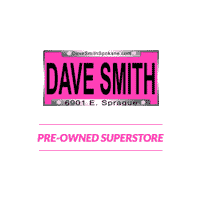 Sponsor: The Giveaways are sponsored by Dave Smith Motors, 210 N Division Street, Kellogg, ID, 83837 (“Sponsor”). Agreement to Official Rules: Participation in the Giveaway constitutes entrant’s full and unconditional agreement to and acceptance of these Official Rules and the decisions of the Sponsor, which are final and binding. Winning a prize is contingent upon fulfilling all requirements set forth herein. Entry Period: The Giveaway is open August 3, 2018 through February 4, 2019. Contest ends at 11:59PM PST on February 4, 2019. Entry: To enter the Giveaway, follow the instructions on the Giveaway site. Submission will result in one (1) entry. Dave Smith Jeep VIP Club members will be given additional chances throughout the dates below to enter, details to be determined and will be added to the rules before the opportunities are presented to the VIP Club members. You can claim five (5) extra entries if you enter the contest at JeepFest in Wallace, ID on August 18, 2018. Each individual may enter the Giveaway once per month during the giveaway. One entry allowed during each date range: August 3 – August 31, 2018, September 1 – September 30, 2018, October 1 – October 31, 2018, November 1 – November 30, 2018, December 1 – December 31, 2018 and January 1- January 31, 2019, February 1 – February 4, 2019. Each individual may enter the Giveaway August 3, 2018 through February 4, 2019. The use of any agencies or automated software to submit entries is prohibited. All past customers will be given the chance to enter online through a link that will give them 5 entries. Customers who purchase a vehicle from Dave Smith Motors between August 3, 2018 and February 4, 2019, will automatically be eligible for five (5) additional entries. Entries shall be the property of the Contest Sponsor and will not be returned for any reason. The Sponsor at its sole discretion may allow for additional entries to this contest from additional avenues not listed here. See Sponsor for details. Drawing: Sponsor will select the potential winner on or around February 5, 2019. The odds of being selected as a potential winner depend on the number of eligible entries received during the Entry Period. Potential winner will be contacted via phone number and will be asked to provide their full name, age and mailing address and driver’s license within a specified time period. If a potential winner does not respond within the time frame stated in the notification email, the Sponsor may select an alternate potential winner in his/her place at random from all entries received during the Entry Period. Limit one (1) prize per household per Giveaway. Requirements of the Potential Winners: The Winner will receive a message at the phone number and email address they provided on the entry form. The call must be returned within 48 hours or another winner will be selected. Once the winner has verbally accepted the prize they will have 48 hours to sign an acceptance/release form. If the winner does not sign the acceptance form within the time frame another winner will be selected. Winner must pick up their prize from the contest sponsor at the Sponsor’s location in Kellogg, Idaho within 30 days from the date of signing the acceptance form. The winner is responsible for all costs associated with accepting the prize, including but not limited to taxes, license, insurance, document fees. The winner is responsible for all costs associated with traveling to Dave Smith Motors to pick up the prize. The prizes available to be won in the Giveaway is one (1) Jeep Wrangler JL Unlimited Sport 4X4 VIN 1C4HJXDG8JW187258, a tent for the Jeep & a Traeger Grill. The total Jeep cost is $44,120. No cash or other substitution may be made. The winner is responsible for any taxes and fees associated with receipt or use of the prizes. More information about the prize can be found on the contest page. General Conditions: In the event that the operation, security, or administration of the Giveaway is impaired in any way for any reason, including, but not limited to fraud, virus, or other technical problem, the Sponsor may, in its sole discretion, either: (a) suspend the Giveaway to address the impairment and then resume the Giveaway in a manner that best conforms to the spirit of these Official Rules; or (b) award the prizes at random from among the eligible entries received up to the time of the impairment. The Sponsor reserves the right in its sole discretion to disqualify any individual it finds to be tampering with the entry process or the operation of the Giveaway or to be acting in violation of these Official Rules or in an unsportsmanlike or disruptive manner. Any attempt by any person to undermine the legitimate operation of the Giveaway may be a violation of criminal and civil law, and, should such an attempt be made, the Sponsor reserves the right to seek damages from any such person to the fullest extent permitted by law. The Sponsor’s failure to enforce any term of these Official Rules shall not constitute a waiver of that provision. In case of a dispute as to the owner of an entry, entry will be deemed to have been submitted by the authorized account holder of the screen name from which the entry is made. The authorized account holder is defined as the natural person who is assigned to an e-mail address by an Internet access provider, online service provider, or other organization responsible for assigning email addresses for the domain associated with the submitted e-mail address. Release and Limitations of Liability: By participating in the Giveaway, entrants agree to release and hold harmless the Giveaway Entities from and against any claim or cause of action arising out of participation in the Giveaway or receipt or use of any prize, including, but not limited to: (a) unauthorized human intervention in the Giveaway; (b) technical errors related to computers, servers, providers, or telephone or network lines; (c) printing errors; (d) lost, late, postage-due, misdirected, or undelivered mail; (e) errors in the administration of the Giveaway or the processing of entries; or (f) injury or damage to persons or property which may be caused, directly or indirectly, in whole or in part, from entrant’s participation in the Giveaway or receipt of any prize. Entrant further agrees that in any cause of action, the Giveaway Entities’ liability will be limited to the cost of entering and participating in the Giveaway, and in no event shall the Giveaway Entities be liable for attorney’s fees. Entrant waives the right to claim any damages whatsoever, including, but not limited to, punitive, consequential, direct, or indirect damages. Giveaway Results: The name of the winners will be posted on DaveSmith.com after the winner has been selected and picked up their prize.